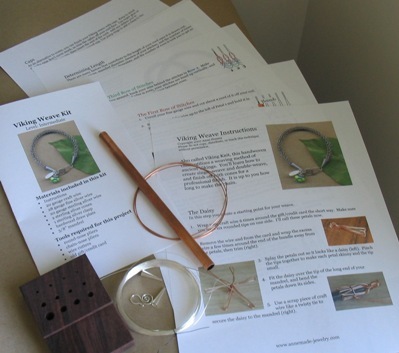 If you don’t have jewelry classes offered close by or you want to learn to make jewelry at your own pace, these are for you. My tutorials have detailed step-by-step instructions with high-quality color photographs so you can see where I hold my pliers and know what your piece should look like at each step of the way. You can download the free tutorials first if you’re not sure about the format, and you can even have a friend learn the technique with you. Please use the menu above to select from wirework tutorials, beading tutorials, chain maille, metalwork, and more. Click here to browse all the tutorials at once.